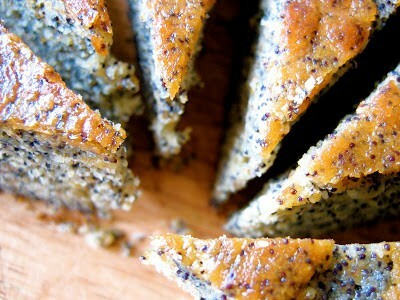 If sugar is the only thing getting you high from your poppy seed cake, you haven’t tried this recipe. No, this confection is not laced with pot butter (that was SO ten years ago), but it is chalk full of poppy seeds… poppy seeds that could cause opiates to appear in your urine during a drug test and make you look like a heroine addict and lose your job. 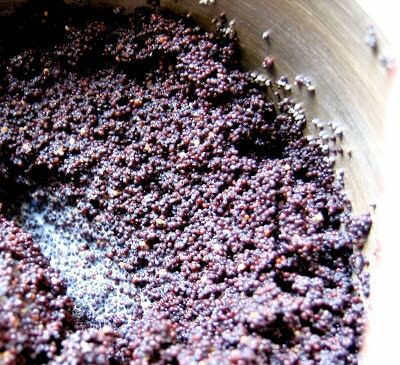 Poppy seeds of… Satan! 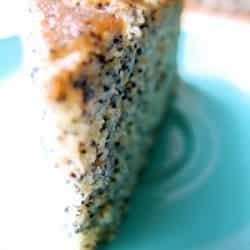 No half-hearted tablespoon or two here, this cake is dense with an entire cup of the devil-seeds that have been steeped in warm milk to bring out their unique flavor. The seeds retain their crunch and pop pleasantly between your teeth as you chew, the way I always enjoyed smelt roe, those tiny orange fish eggs, in my California roll as a sushi-loving seven-year-old. 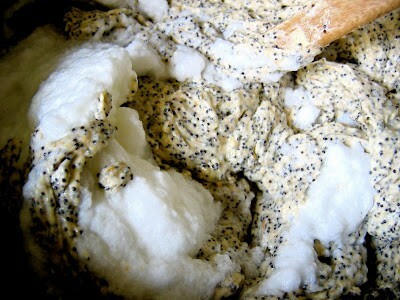 It is a pleasure to get to experience poppy seeds showcased like this, when they are usually an afterthought playing second fiddle to lots of sugar and lemon and I never really saw the point of them at all. Until I made this cake. Then it all made sense. Consider me a believer. 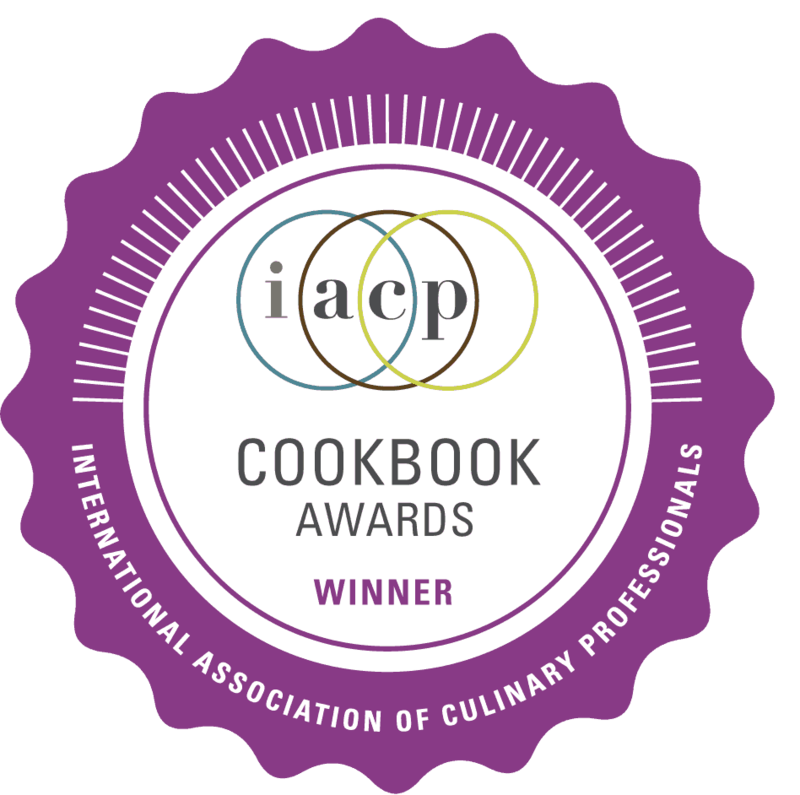 The base recipe, which I’ve had the nerve to tweak, comes from Deborah Madison’s Vegetarian Cooking for Everyone. 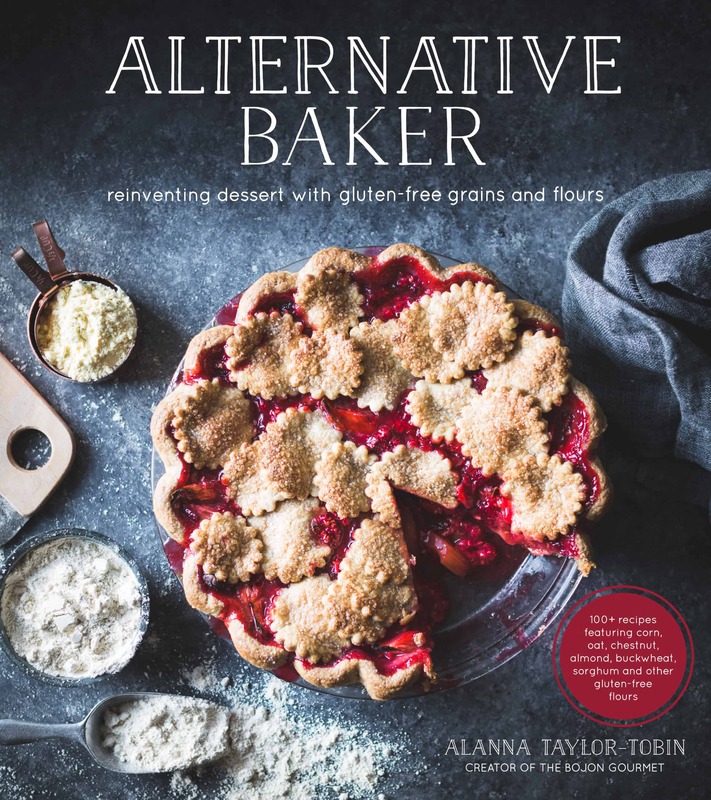 Deborah, who was the founding chef of Greens, not only writes phenomenal and accessible recipes for both sweets and savories alike, her books also make excellent reading material in the bath, or before bed. 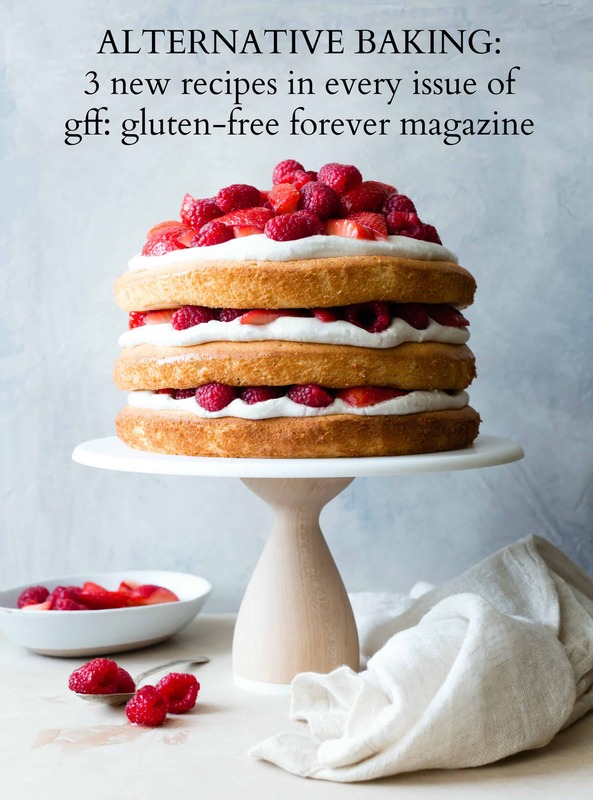 This cake recipe appears with four others in her book, in which she writes, ‘I’m very fond of elaborate cakes, especially when they’re made by someone else.’ Oh, snap! See why I love her? 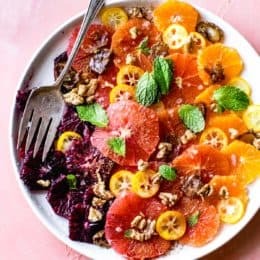 Inspired by some brilliant murcott mandarins that arrived in our box, I added the zest to the batter and brushed the top with a glaze made from their juice. The cake seems very Eastern European to me, from the densely seeded texture to the deep burnished brown that the cake turns in the oven. Versatile and not too sweet, it manages to be both light and rich, sturdy and delicate, plain and complex. 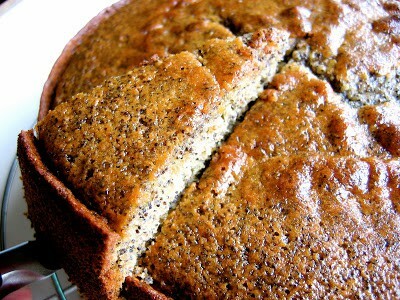 The seeds lend a nutty flavor and help keep the cake moist for days. 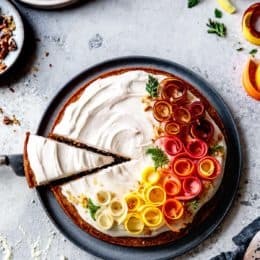 Good on its own with a cup of tea or coffee, this cake wouldn’t be amiss with a dollop of lemon or mandarin curd, some sliced strawberries or a touch of whipped cream. 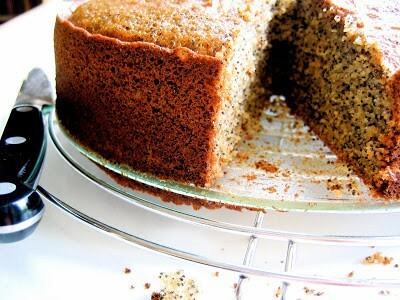 Versatile and not too sweet, this cake manages to be both light and rich, sturdy and delicate, plain and complex. Servings: 12 servings (makes one 9" round cake). Position a rack in the center of the oven and preheat to 375º. Grease a 9" round springform pan. Heat the milk in a small saucepan until small bubbles form around the edges and it gives off some steam. 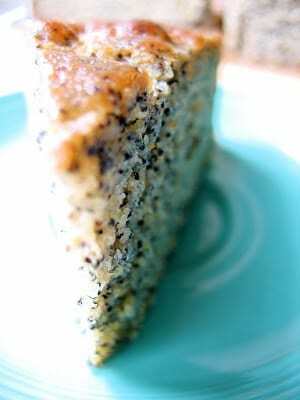 Stir in the poppy seeds and set aside to steep while you get on with the rest of the cake. (This can be done up to 2 hours in advance.) The seeds should absorb all of the milk. If they seem dry, add a bit more milk. 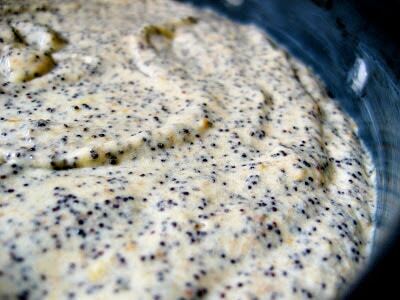 If they are overly wet, pour off any unabsorbed milk before adding to the batter. Sift together the flour, baking powder, soda and salt in a medium bowl. Combine the butter and sugar in the bowl of a kitchen aid fitted with the paddle attachment. Grate the zests right in, and beat on medium speed until light and fluffy, about 5 minutes. 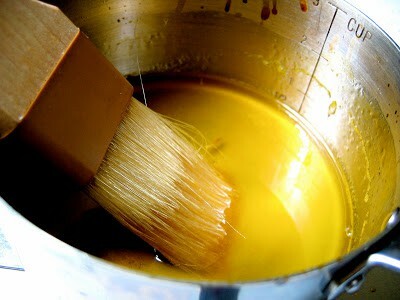 Beat in the vanilla, then the egg yolks, one at a time, until well combined. 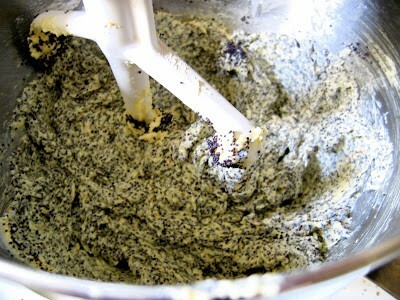 With the mixer on low, add the soaked poppy seeds to the butter mixture, stirring to combine. Add half of the flour mixture, all of the buttermilk, and the other half of the flour mixture, stirring to combine after each addition. Remove the bowl from the mixer and fold the batter by hand a few times, scraping the sides, bottom and paddle, to make sure it is homogeneous. In a clean, large bowl (or the now-empty bowl you used for the dries), whip the egg whites with a whisk until they hold soft peaks. Stir 1/4 of the egg whites into the batter to lighten it, then fold in the rest of the whites with a rubber spatula until just combined and no streaks remain. Pour the batter into the prepared pan and smooth gently. Bake until the cake is a dark, burnished brown on top, begins to pull away from the sides of the pan, and springs back to the touch, about 45 minutes, rotating once or twice. Remove from the oven. 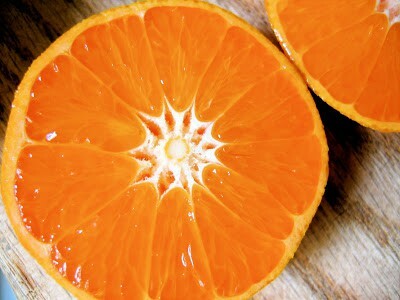 Combine the tangerine juice, lemon juice and sugar in a small saucepan. 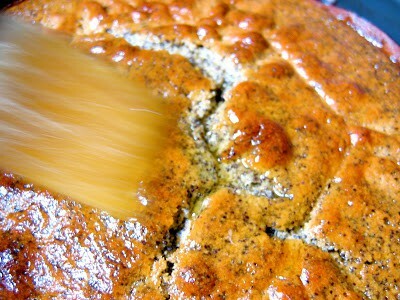 Cook over medium heat, swirling occasionally, until thickened and syrupy, about 5 minutes. The liquid should reduce by about half. 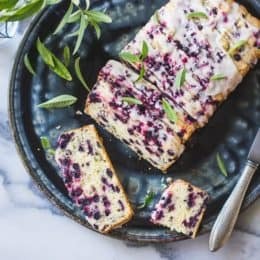 Brush the warm glaze over the top of the warm cake until it has absorbed it all, and let cool completely before slicing, serving and devouring. Position a rack in the center of the oven and preheat to 375º. Grease a 9″ round springform pan. Ahah but I mean did the policeman REALLY has been suspended for 4 bagels? Whoa the drug cake… Ahahah! Hello Alanna! :) thks for the comment in my blog:) I write back to you! 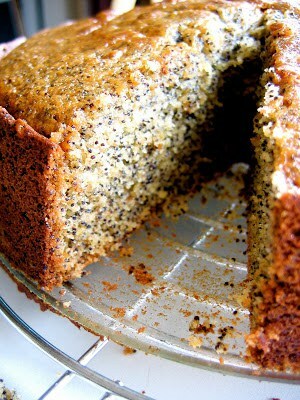 This cake is beautiful and love poppy seeds in cake, bread and so on! Oh my gosh. SOOO good!!! :) I used just lemon zest and it was delightful. 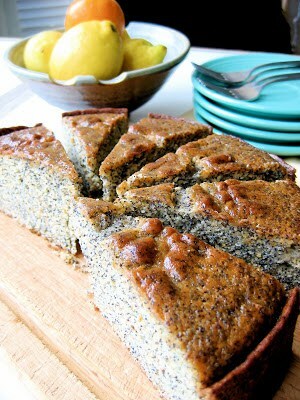 Lots of crunch from the poppy seeds, and nice cake texture. The seeds are much more flavorful after soaking in hot milk!!! Yum!